The weekend of December 5-8, 2013, Yeshivah of Flatbush High School hosted the 18th Annual Thomas Hausdorff Memorial Basketball Tournament and Shabbaton. It is an event that promotes competition, camaraderie and community; three “C’s” that represent the ideals promoted by Mr. Hausdorff A"H, former principal of YOFHS. He believed that in the right setting, athletics can provide a unique opportunity to promote all three. 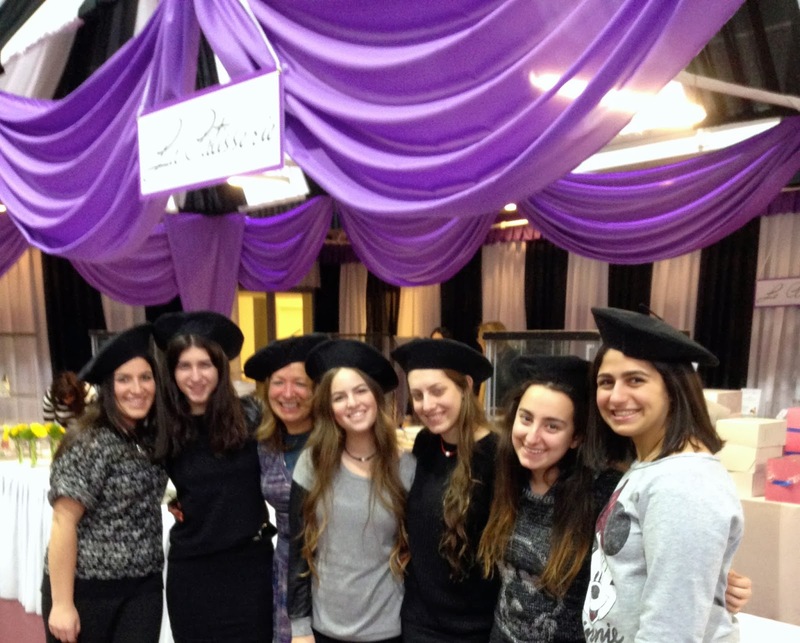 As noted by Rabbi Besser, Shabbaton Coordinator, such an event – with learning and celebration – serves to elevate the neshama of the honored and memorialized individual. It also was about raising ru’ach amongst the participants. Both are examples of Elevating the Spirit, and was spirit ever in the forefront this weekend! 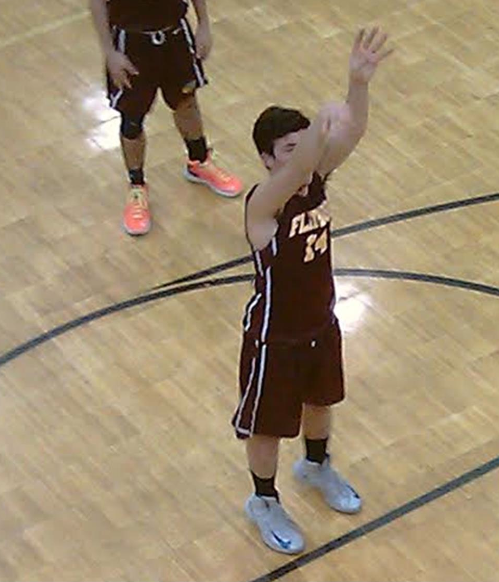 Flatbush Falcon Louis Zarif goes up in the lane for 2 against Kushner. Competition was the order of the day in the tournament’s opening games, where host Flatbush (Brooklyn, NY) took on a late-arriving Akiva Hebrew Day School (Detroit, MI) with the two teams embroiled in a barn-burner. In what would end up being the closest match of the tournament, Flatbush watched as with 2-seconds left on the clock, potentially game-tying free-throws went errantly by, securing a 43-41 victory for the Falcons. Earlier, Cooper Yeshiva (Memphis, TN) played its best half of the tournament, matching Kushner Yeshiva (Livingston, NJ) nearly point for point for its majority before yielding to the NJ team’s experience and finishing a distant 30+ points behind by sounding of the final buzzer. Camaraderie was evident by the mix of kippot throughout the weekend: seated in the Beit Midrash for t’filot; walking down Avenue J in search of a good meal in one of the many kosher restaurants that surround the school; sitting arm to arm while rocking the Sasson home to its foundations during Oneg Shabbat while singing spirited z’mirot under the lead of Rabbi Besser. 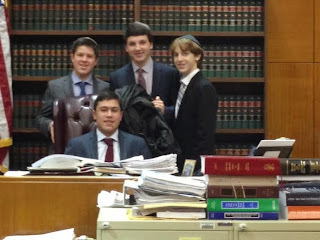 Seeing the Avika, Cooper, Flatbush and Kushner kippot mingled together over the course of the tournament clearly underlines the success of the event. Community was highlighted by the D’var Torah given Rabbi Lubetski of Cooper Yeshiva (and formerly of Flatbush – his parents still live nearby) that stressed the point of how this event embodies the concept of “כל ישראל ערבים זה לזה – All of the Jewish Community is responsible for each other”, and driven “home” by the families of the Yeshivah of Flatbush, with the opening of houses in the Flatbush neighborhood to our guests from across the USA. Our students not only were able to perform the mitzvah of Hachnasat Orchim, but also demonstrated that no matter where a Jew finds oneself, the local Jewish community will open its doors to him or her (”Won’t you stay with us for Shabbos Minyan Man?!”). Community was sharing the customs of both Ashkenazic and Sepharadic traditions in t’filah, highlighted by the reading of the Torah from the Ashkenaz Hausdorff torah with nusach Ashkenaz Shabbat morning, and from a traditional Sepharadic Torah with nusach Adut HaMizrach Shabbat afternoon. Community was also demonstrated by the sharing of learning throughout the weekend by multiple members of each team who delivered profound words of Torah over the course of the 4-day Shabbaton. 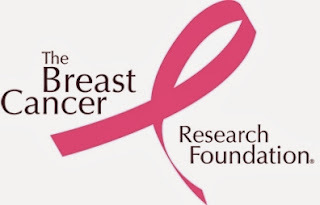 Such an event does not occur without the commitment and effort of many individuals. As noted, Rabbi Besser provided the core elements of ru’ach and limud for the Shabbaton. His unique talents set an unparalleled tone for remembering and promoting all that Thomas Hausdorff held dear. Bringing the event to the wider community is due in no small part to the efforts of Ephraim Silberman, who among other things, insured the Livestream connection was – in fact – live, and the games were seen not only in New York, New Jersey, Tennessee and Michigan but half-way around the globe in Israel! The actual realization of the 18th iteration of this Tournament and Shabbaton is due to the commitment of Rebecca Gelber-Silberman and all the student members of the Hausdorff Committee under her supervision. Her dedication to detail insured that everything was taken care of, from the identification of host homes for our guests to arranging meals for all participants to providing awards for the winners and flowers for the event chairs (student-coordinator Harriet Sasson and YoF Alumni Director Bebe Levitt – a special thank you to you both as well!). Lastly, the planning and success of this event is testament to the love and commitment of Tournament Director Mike Gelber, who for 18 years has given of himself selflessly to promote an event that not only fosters the ideals his good friend Thomas Hausdorff held dear, but that are of equal importance to Coach Gelber himself. Chazak U’Baruch, and Yasher Ko’ach, to all! The Faltbush Falcons defeated the Kushner Cobras in the Finals to win the Championship of the Hausdorff Tournament. 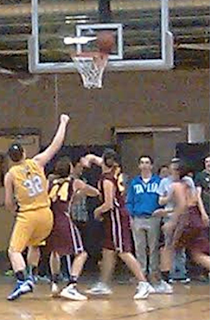 Akiva Hebrew HS downed Cooper Yeshiva to take home the 3rd place trophy. Flatbush Freshman Guard Kevin Haddad was recognized by the tournament committee as the Most Outstanding Player of the 18th Annual Thomas Hausdorff Tournament. 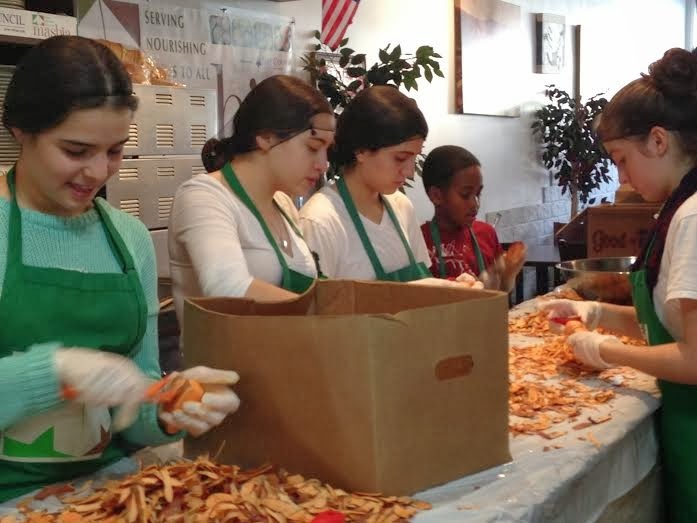 Last week, I along with other Yeshivah of Flatbush students had the opportunity to take part in a culinary event at the Sephardic Community Center. Not only was it a lot of fun, but it was a great learning experience. We got to see how some people from our community run their culinary related businesses. It's amazing to think that our community has so many talented people. 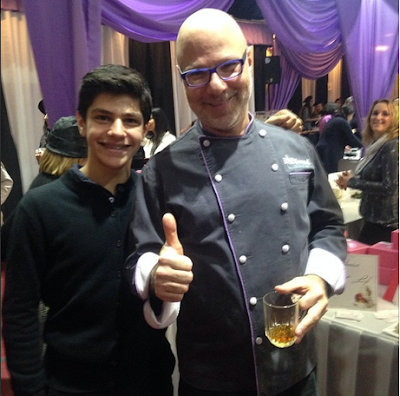 Ron Ben Israel, the host of Food Network's Sweet Genius, also attended the event. He had a presentation and spoke about his life story and his family background. He also spoke about how his business works and what he does. 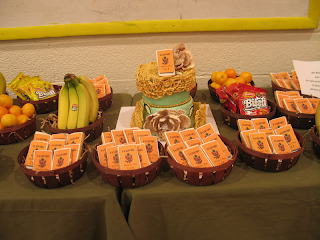 After the speaking presentation, Ron Ben Israel had a baking presentation. He taught a step-by-step tutorial on how to make a sugar flower. It took him about 5-10 minutes to make the sugar flower. It was beautiful, and really fascinating to see how he could make something so fragile, with so much detail, so quickly. It was an honor meeting him and learning everything from him. 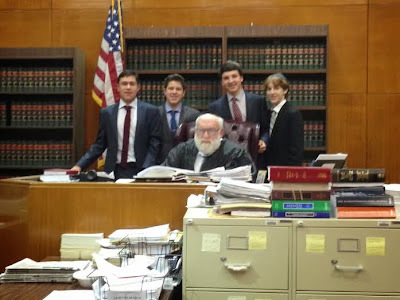 Sandwiched around a 6-0 home win over YDE (and in the aftermath of two lopsided wins over division rivals Magen David and Solomon Schechter of Long Island), the Flatbush Boys Varsity Hockey team played an away and home series with rival and top MYHSAL team DRS High School of HALB. From the start of the season fans and players alike knew that these two games, scheduled so close to each other, would give a real indication about where the Flatbush program is today and what the Falcons’ chances would be for success in the 2014 MYHSAL playoffs. DRS is a perennial league powerhouse and a natural barometer for any program looking to make an impact in the yeshiva hockey world. Early in the season, the boys from Flatbush have shown the ability to compete with the best (note the team’s huge road victory over cross-division rival Frisch) and lose to the best (note the pasting put on the Falcons by the super-solid HAFTR squad). But with the majority of the regular season in the rear-view mirror, these two games would be a key indicator of how far the team has come and how much success could be anticipated come playoff time. Both teams are quick to the puck and both teams boast two strong lines that keep the pressure at full tilt from the first drop of the puck through the sounding of the final horn. But at the heart, each team’s chance for success rests on the pads of the final line of defense – the goalie. At both venues, the goaltending for each squad could only be described as stellar. On the opening game in Long Beach, Flatbush’s senior goalie Stephen Esses had what could only be described as a breakout game. It was as if everything finally came into focus for him; the game slowed down and the puck looked as big as a softball. Along with solid play from the defenders in front of him, Esses shut down the high-powered Wildcat offense for the entire first period. But as the teams were just settling in to second period play, DRS broke the stale mate with a quick goal one minute in giving the hosts a 1-0 lead. Earlier in the season, this might have led to Flatbush folding up the tent and watching the floodgates open. But, the Falcons scraped themselves up and again proceeded to hold the line on defense and continue to pepper the DRS goalie on offense. However, late in the period having just killed off one penalty, Senior defender Michael Tawil was whistled for interference. Weary, and again shorthanded, the Falcons yielded the game’s second goal with just under a minute left in the second period. Regrouping, Flatbush came out for the third period determined to get back in the game. And four minutes in, they did just that. Senior Co-Captain Moe Maleh finally beat the DRS goalie with a beauty of a goal, getting the Falcons on the board. But that was to be it, as the DRS defense held the Falcons at bay the rest of the way. In the end, the Wildcats defended the home rink, turning away the Falcons from Brooklyn, 2-1. That set up the re-match on the gym floor at Flatbush HS. The question: would the Falcons be able to bring the up-tempo, in-your-face game to DRS a second time in less than a week, and this time could they turn the tables on the Wildcats and get the “W”? The answer to the first part was evident from the first drop of the puck. Flatbush brought the pressure on offense and stood tall in the battle on defense. It was a virtual repeat performance of game one. Each team pressed hard on offense, working hard to dig the puck out of the corners and sending crossing pass after crossing pass through the goal crease. And again, the opposing goalies stood tall behind their solid defenses. Through the entire first period and well into the second, neither team could break through. Then, about half-way through period two, Flatbush struck gold behind the experienced duo of Moe Maleh and Morris Bijou. Like they have done so many times over their Flatbush hockey careers, Maleh deftly moved past his defender and sent a perfect cross to Bijou who’s one-timer found the back of the net, lifting the crowd to its feet and staking the Falcons to a one-nil lead. But, could they make it stand up? It did not seem possible, but the Wildcats amped up the pressure on offense even more, and the Falcon defenders - anchored by Moe Maleh on the first line and Michael Tawil on the second line - were equal to the task. While DRS kept putting the puck out in front of the goal, Coach Lefell employed a rotation of Sol Sasson, Marc Barsano, Jack Mosseri, Abie Cohen and Jack Sasson alongside Maleh and Tawil that kept the Falcon legs fresh and made sure there was no DRS player there to receive the pass. And, when there was, Stephen Esses was right there to turn them away. Esses did not stand on his head, but he did not need to. He stood big in front and glided with ease from post to post to deny the Wildcats again and again. Coming out for the third and final period, the Falcons were clinging to their 1-0 lead. With play intensified by both teams all over the rink, everyone was wondering if another goal would be recorded, and if so would it lift the Falcons further or would it be the equalizer for the Wildcats? It was then that controversy landed at Flatbush. With nearly half the period gone, Flatbush took what could have been a costly penalty, giving DRS a man advantage at a key point in the game. With the penalty-kill unit working the puck, a clear looked to be going towards the Falcon bench. The puck then kicked off the bench area, tying up the DRS defender, and a streaking Sam Laniado made a quick course correction, scooped up the loose puck and deftly deked the DRS goalie depositing the puck behind him and seemingly lifting the Falcons to an insurmountable 2-0 lead. But after a loud clamor from the DRS bench and their supporters in the stands, the referees huddled together for an extended period then dramatically waved off the goal, stating that it struck a Falcon player on the bench before being deflected back out on to the playing surface. The puck was ruled out of play, and the ensuing goal was disallowed. The Flatbush faithful were now up in arms! With the call coming so late after the goal was registered, how could the officials allow themselves to be influenced by the din of the crowd, or by the cries of a coach? The essential question that would go unanswered was, if the play did not result in a goal, would the officials have stopped play and ruled a face-off or would play just have continued on without stop? It appeared that the answer would have been the latter, and if that was the case then it could be argued that the goal should have stood. Nevertheless, while the ruling may have been just (the puck did in fact strike a player’s equipment on the bench before ricocheting out towards the center of the court), the question would go unanswered and the goal was disallowed. Flatbush successfully killed off the penalty and continued to make the one-goal lead stand up. With time running down, DRS finally pulled its goalie for an extra man, and with under one minute to play Morris Bijou intercepted a pass and flicked a long court shot from deep in the Flatbush zone that struck home in the empty net lifting the Falcons to a 2-0 lead. With the Falcons looking to close things out, DRS received one last ray of hope as Maleh took a penalty with :22 seconds remaining. Again lifting the goalie for a 5-on-3 advantage, DRS finally beat Esses over the left shoulder with :08 seconds to play. But the token goal was as close as DRS would get. Back at full strength, Flatbush closed out the final seconds, and the team rushed the court exalting in the upset victory and sending notice to the League that Flatbush plans to be in the mix when it comes time to crown a champion! Flatbush hosts the other MYHSAL hockey leader, HAFTR, on Thursday night, 12/26, as they look to avenge their worst defeat of the season. 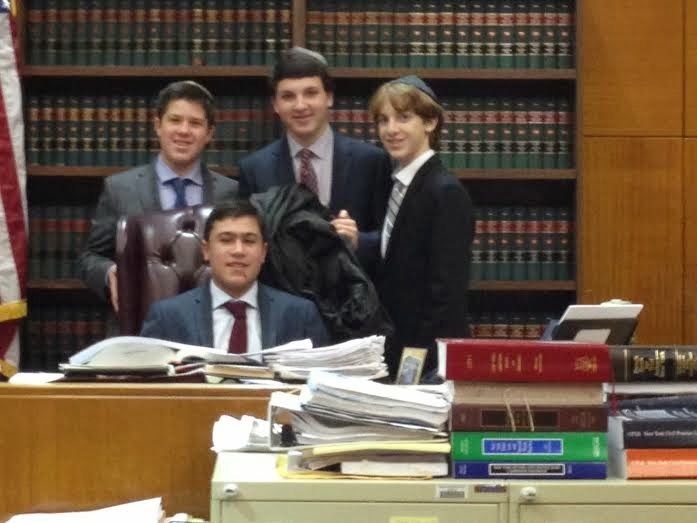 In earlier games, on 12/9 Flatbush defeated Magen David by a score of 5-0. Sam Laniado scored twice on feeds from Morris Bijou. Moe Maleh had two goals; one unassisted and one off the stick of Laniado. 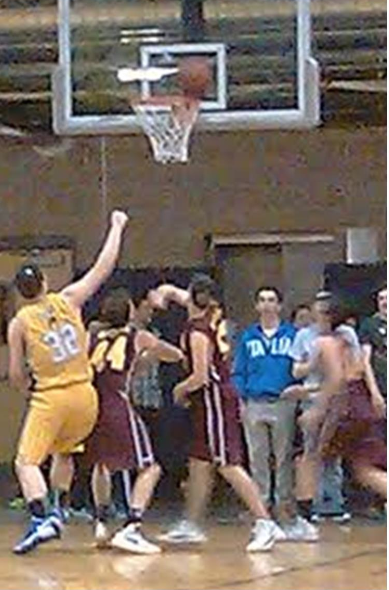 Sol Sasson closed out the scoring with an assist from Michael Tawil. On 12/12 Flatbush defeated SSLI also by a score of 5-0. Flatbush was led by Moe Maleh who tallied 2 goals and 2 assists. Sam Laniado, Ben Vilinsky and Jordan Hill added one goal apiece. 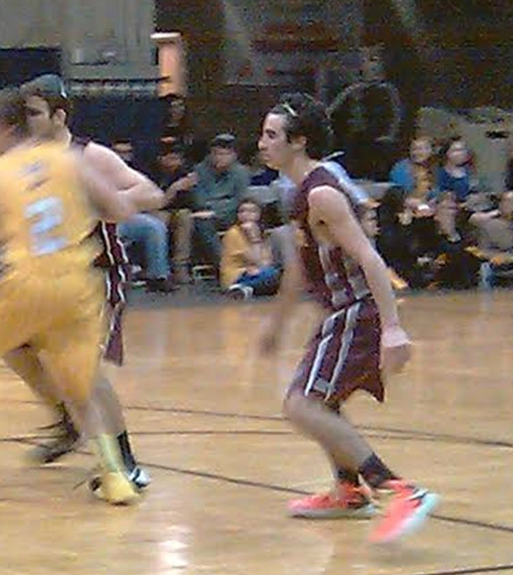 Additional assists came from Laniado and Michael Tawil. On 12/21 Flatbush defeated YDE by a score of 6-0. The Falcons were paced by two goals apiece from Morris Bijou and Sam Laniado. The other two goals came from Moe Maleh and Morris Shayo. For a list of prizes and winners click here. On Wednesday December 25, 2013, 10th grader Gabriel Vizgan's dad Shlomo Vizgan came to visit our after school STEM class. 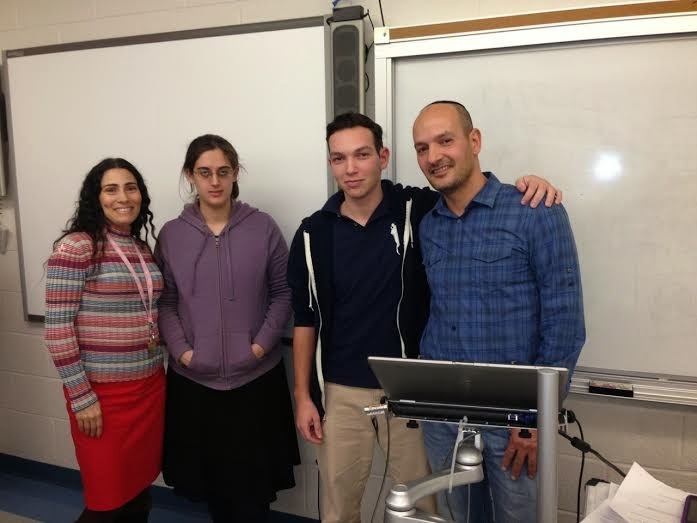 He spoke to the students about how his company where he is an engineer and creates programs for businesses. 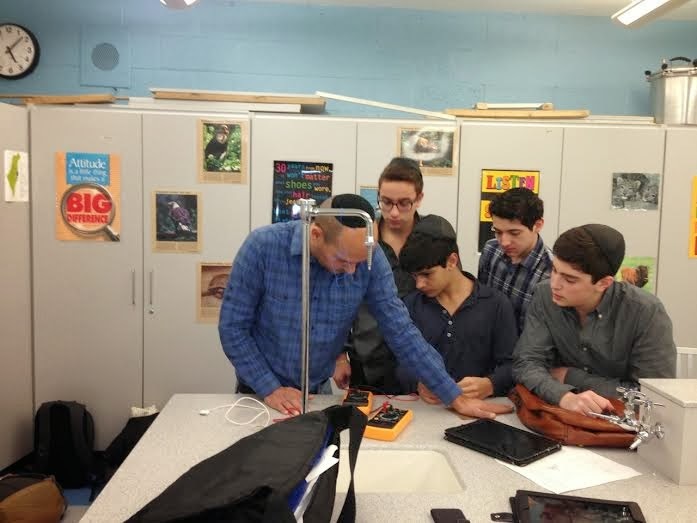 Following his lecture Mr. Vizgan helped students with their STEM projects. We are so grateful for Mr. Vizgan's time and expertise. It was a most informative and enjoyable visit. and were heading to HANC. help from the starters and bench. or who would fly away. all needed wins, that's no lie. would they rise or they fade? was interrupted by the blood bank. run with aplomb; gave the chills. would they fly? 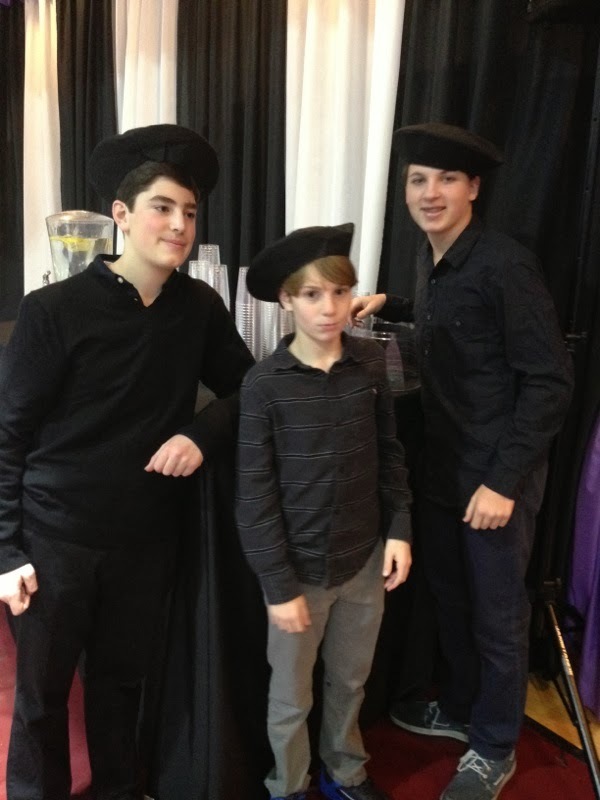 Would they wane? not if they had their way. there might be reason to laugh. and tied the game at all 40. Would they they be crushed by the Cane's burst? Show they had left behind the worst? 'cause they knew what a win means. team D cut like a knife. got to leave with a "W"
Bobby's point play finding seams..
to show muscle and brawn. the Falcon's spirit was intense. is what passion will do. every Falcon met the call. to get back in the fight. on this cold winter night. on this coming Shabbat night. to all, we tip our hats. Most high school students usually wake up to go to school in the morning. However, on a past Thursday morning, I had the unique opportunity and privilege of shadowing Dr. Charles Silvera, the gastroenterologist. Thanks to the Yeshivah of Flatbush Pathfinders Program, led by Mrs. Hanon and assisted by Mrs. Anteby, I was able to have a fantastic and educational morning. Gastroenterology is a branch of medicine that is focused primarily on the digestive system and its disorders. Even though I was only with Doctor Silvera for several hours, I could clearly tell that he is highly adroit in his field of practice. Before he started the colonoscopy procedure,which I had the amazing opportunity to watch, he pulled out a plain piece of paper and quickly sketched the small intestines. He explained to me, by means of a visual representation, the different sectors and functions of the small intestines, with ease. Sure biology is a hard subject to master. However, if you do just that, you aren't ready to become a doctor. In order to become a successful doctor, you need to learn not only within a classic classroom setting but through real-world experiences as well. At the Endoscopy center, I was able to actually watch multiple colonoscopies. Doctor Silvera gave me a play by play analysis of what must be done from the beginning to the end of the procedure. 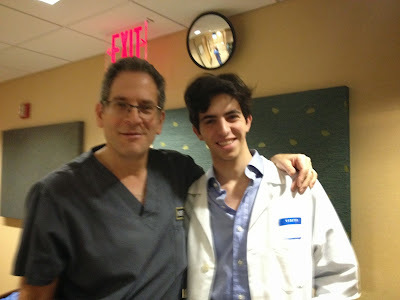 He showed me all of the tools that are used during the procedure and what their functions are. As we ventured through the patient's small intestine through a miniature camera, the doctor explained to me all of the various intestinal diseases and long term issues that one can come across during their lifetime. "What is my reasoning for wanting to become a physician?" The answer to this general question is very simple. Being a doctor is the highest level of altruism and the best way to give back to society. I want to be the reason why people can become happy and healthy once again. Becoming a successful and knowledgeable surgeon is my dream. Physicians never cease to amaze me. I hope to follow in their footsteps, and the Yeshivah of Flatbush Pathfinders Program has allowed me to get a little closer to fulfilling my dream. 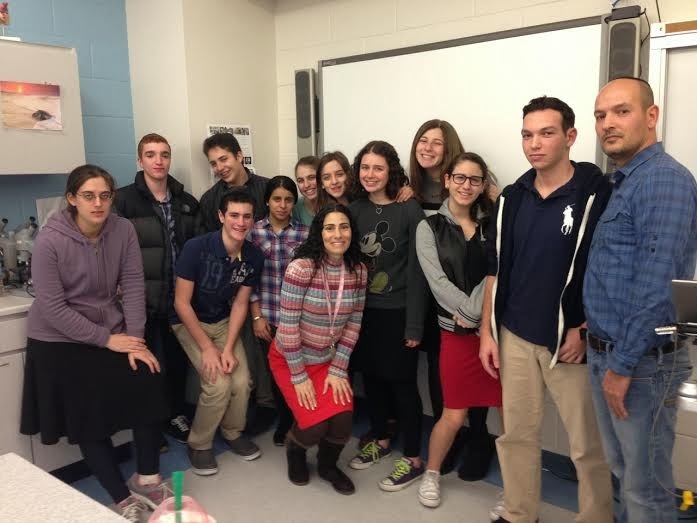 On Wednesday, December 11th, I joined a group of 14 Yeshivah of Flatbush High School students in an amazing program called Partners in Reading. We all read The Wave by Todd Strasser and then went to the Yeshivah of Flatbush Elementary School to discuss the novel with a group of students from the Middle Division. This book is about an experiment performed by a teacher in his history class that basically involved creating a cult-like movement that enveloped the whole school in five short days. The movement soon became violent and as the experiment went too far the teacher had to call it off. It was a truly enriching experience for me to see the different ways a book can be approached. I looked at the novel extremely differently than the middle schoolers that were in my group and I learned new things from the viewpoints that they brought. Together we all delved into the inner recesses of our minds and tried to examine the fundamental structure behind a cult like movement and why people are so attracted to them. We explored the allure of discipline and the need to belong to something bigger than oneself. However, possibly the most frightening, yet enlightening, part of my experience was when my group and I preformed some introspection to try and figure out whether we would be swept up in a movement like The Wave if it came to our school. It was extremely interesting to see the different ways that we all reacted to the idea of a movement like this. I felt that together we all grew and I was happy that I was able to participate in such an amazing event! Thank you to coordinators, Mrs. Kurtz the high school library chair, Mr. Katz, and Mrs. Grant the elementary school librarian. 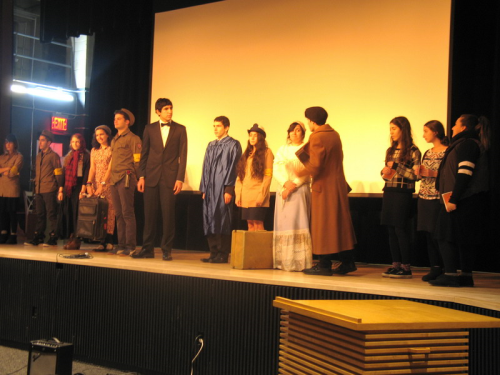 On December 17th and 18th, the Jewish History and Social Studies departments held a special History Day program for juniors and seniors. 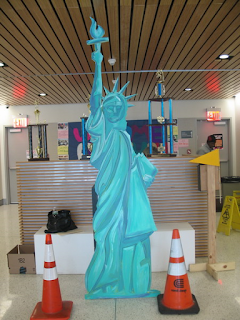 The program centered around the theme, Coming to America: the Immigrant Experience. Day 1 of the program focused on the Sephardic and Ashkenazic communities immigrant experience in NYC. Students watched the documentary "Coming to America", created by Joseph Sitt and produced by Marlene Mamiye, which focuses on the Syrian communities' immigrant experience on the Lower East Side. 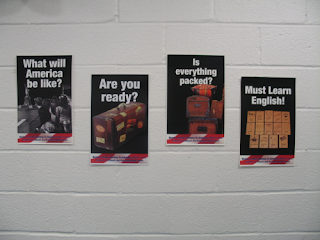 The film was followed by a real-word immigration experience trip for seniors. They were divided into 3 groups; one group visited Congregation Shearith Israel: Spanish Portuguese Synagogue, another explored the Eldridge Street and Bialystoker Synagogues on the Lower East Side and the third group toured the Lower East Side Tenement Museum. Day 2 of the program opened with a Drama Troupe presentation and immigration -themed music video, followed by a wide variety of interactive sessions (30 in total) led by teachers and visiting lecturers. Sessions ranged from real life stories by immigrants who escaped Syria, to hearing from young undocumented aliens, to discussions of the immigrant experience in literature, to cooking classes and much much more. Juniors also participated in a debate led by History faculty, Ms. Shelley Kaplowitz, on the question of "Should the illegal alien Superman be granted citizenship?" Lunch was a major highlight of the day! Ami and Ralph Sasson sponsored an incredible gala ethnic food festival in memory or Mrs. Susan Sasson A"H which showcased Sephardic and Ashkenazic foods as well as a special pickle-making workshop by Rabbi Dr. David Eliach. The program closed with a choir performance of immigrant songs, an original student-created music video which had the students waving American flags and cheering for their families' countries of origin and Rabbi Ronald J Levy leading the audience in a a rousing rendition of "The Star Spangled Banner." 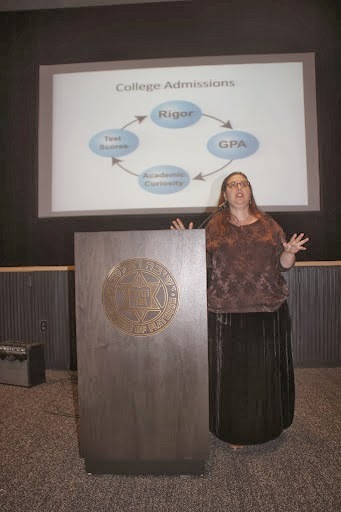 The entire History Day program was conceived, organized, and implemented by Jewish History chair, Mrs. Miriam Wielgus, and Social Studies chair, Mr. Howard Rothbort. Thank you to all those who contributed their time and effort for making our History Day a resounding success! 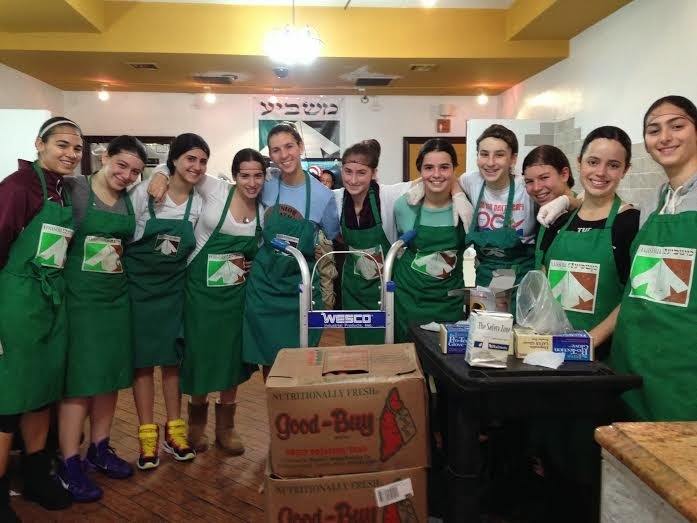 The JV Girls Basketball team's involvement with the Masbia Soup Kitchen is in following with the goal of the athletic department for each level of each team to engage in a Chesed project that provides our student-athletes with leadership opportunities and gives back to the community. 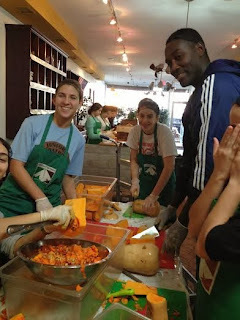 Chazak U'Baruch to Coach Mizrahi and the Flatbush Girls' JV Basketball team! 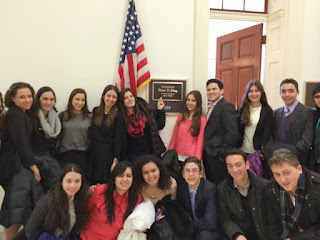 This past Thursday, December 12, 9 Tevet, over 100 Yeshivah of Flatbush students from the Israel Activism Commission traveled to Washington D.C. to lobby their member of congress. 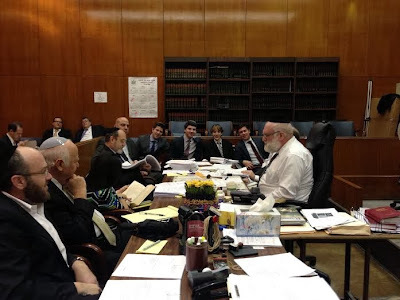 The quantity of students set a record in both Flatbush's history and the history of the pro-Israel movement. The students lobbied on behalf of the US-Israel relationship, and advocated for Israel's security needs and the importance of foreign aid. The students mentioned how Iran is getting closer and closer to a nuclear weapon capability and the steps that America can take to counter this threat. The students also spoke on behalf of the $30 billion plan President Bush promised to the state of Israel, and which President Obama upheld, to be distributed over a ten year period. The day started bright and early at 5:00 A.M., as students woke up to arrive on time for the departure at 5:30 and receive breakfast. As it was too early to pray at that time, the students brought with them their teffilin and prayed as soon as they got to GWU's Hillel. After we prayed, we heard an extraordinary introduction speech by our very own alumnus and pro-Israel student leader Joey Cohen-Saban (HS '11). 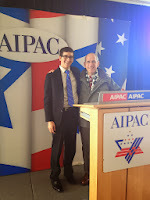 We then went directly to AIPAC headquarters for additional lobbying training (and pictures!). From there we headed to Capitol Hill for the culmination of our hard work. We arrived with enough time to take pictures on the Hill and walk leisurely to our representatives in the House. After arriving, each and every single one of us had the chance to interact directly to the congressperson or staffer, and all groups enjoyed successful meetings!